Recent data confirms what most assume to be true: CRM is ubiquitous. Ninety-one percent of companies with 11 employees or more use some type of CRM software. But CRM sales tools are often complex, packed with customizable functionalities. It’s overwhelming. That’s why we parsed through advice on places like Quora to help you understand how today’s business leaders are utilizing CRM tools. Because Salesforce is used by more than 100,000 companies around the world and cited as a leader by CRM Magazine, G2 Crowd and Gartner, we chose to focus on it for this article. Here’s what eight business leaders said about how they use the sales tools in Salesforce. The system of record: Salesforce can serve as the single source of truth, answering questions about what’s happening within the business, who the customers are, and forecasting future deal flow. This eliminates hours of meetings where people are exchanging information the system contains and endless conversations around what’s working and what’s not. Process management: A business is a set of repeatable processes that produce more money than they cost to operate. They’re money generating machines and the best ones run on Salesforce. Salesforce can ensure process adherence through validation and create data feedback loops around different processes so they can be optimized and iterated upon. “Communication through dashboards: Individual contributor reports so people can self-manage [and] team reports so managers can manage and the board can understand performance. Spotting training opportunities for the team — you can only improve what you can measure. Salesforce enables you to measure everything…from messaging to activity level for the Individual Contributor. This creates a wealth of information for sales enablement to draw on for teachable moments. “Salesforce is virtually limitless in its expandability and features – I can’t list all of the features because it won’t be even close to complete. But, in my personal experience, I’ve found the only times it’s failed are when a company has tried to make the Salesforce platform into something that it’s not. It’s robust. If you’re going to rely on a system, and hold people accountable to putting information in there, that system better be robust – Salesforce is. It’s meant to be tweaked. This may appear less ‘user-friendly’ to start because there is simply more there to play with. It’s customizable. if you care, you can make it do pretty much everything within reason. If you can get a developer on it, you can do things out of reason too. You can integrate it with loads of other programs. Since it’s such a dynamo in its market, it already has tons of companies who already have Salesforce integrations to make things easy, or you can integrate it with your own software if you like. Because Salesforce has so many sales tools, it brings different benefits to every organization. 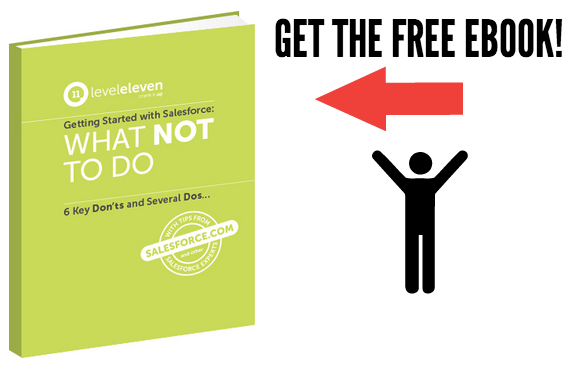 Do you use Salesforce? Share your experience with us in the comments below! CRM sales tools are often complex, packed with customizable functionalities. Learn more about how today’s business leaders are utilizing them.